Who likes to be proven wrong? Nobody wants to fail, especially not enthusiastic start-up entrepreneurs. Often the best way to find out what works in marketing is to analyze what does not work. In my business consulting firm I have helped many successful companies and some failures too. While there are many reasons for business failure, these marketing blunders are an all too common factor in startup demise. A great startup knows how to utilize technology in the best interests of the people in their company and their bottom line. For example, a local chiropractor would do well by positioning themselves on Google search with SEO (Get found online with Hari Menon Digital). These are the worst marketing tactics I have observed small businesses use most often which result in money loss, weak sales and most critically the loss of the entrepreneur’s confidence and drive. Learn from others entrepreneurs marketing mistakes and spare yourself a business failure. Often called the “spray and pray” marketing program. The premise is that if you make ten sales presentations and nobody buys then you should make a hundred more of the same flawed sales presentation. The concept is if you work extra hard success will naturally follow. However, doing more of the same failing activities will only bring you more business failure. People fall into this trap because working super hard gives them the perception of progress, but it is only an illusion. Are these the wrong type of target customers for your product or service? Is your presentation compelling enough demonstrating the benefits of purchase? Do you need additional sales training,? Are you selling in the right manner, i.e., in person or online? 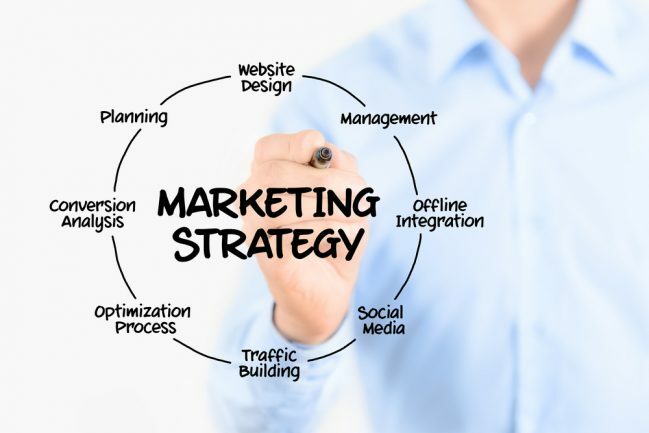 Time spent in this manner will yield valuable information to adjust your marketing strategy for greater success – while ultimately spending less time and energy for better results. Some entrepreneurs wrongly think that because they are so excited about their product that the world will be too. Immediately when the world hears about their new product, they will beat a path to their door with money. You think that if your Facebook followers, friends and family spread the word about your product, your cash register will start ringing. Word-of-Mouth may work in a service based business like garage door repair, but don’t expect it to work as well for a product launch. Wishful thinking that almost never happens. Today, everybody is so saturated with information and busy with their lives and activities that they will hardly notice that your new product has arrived in the marketplace. Also, your loving family and friends may not be your target customer, nor are influencers in your industry. Thus their support will generate no buzz. Before your product launches, spend time creating a community of people, both online and off-line, which are your target customers and industry influencers that have active lines of communication the public. Then at launch time hire marketing professionals and graphic artists to create compelling, funny, and share-worthy graphics, videos, and audio about your product. Share those interesting items with your newly-created community, and your influencer contacts to get the buzz started and make sales. Many new entrepreneurs take this easy, but expensive, route of advertising online, on Facebook or Google, without any other marketing strategies to launch their products. After they had spent thousands of dollars and got little results, many are so discouraged and broke that they quit and close their company. Don’t let this happen to you. Because major sites such as Facebook and Google have made it easy to set up ad campaigns, new entrepreneurs are led to believe that they have set it up correctly. That is very far from the truth. Many of the most sophisticated and knowledgeable online entrepreneurs that I know hire dedicated specialists to set up their advertising campaigns on these sites. Unless you are an online advertising professional, you will overspend and underachieve with these types of ad campaigns. Certainly, this process will take more time, legwork and effort, but less cash than clicking a few buttons and advertising. Beginning entrepreneurs need to conserve their cash as much as possible for those expenses that no amount of legwork will buy. For more information on how to find and connect with your Tribe, read, or listen to the MP3, the marketing guru Seth Godin’s book, Tribes – We need you to lead us. Entrepreneurs have some fun and get great startup ideas with this cool Business Idea Generator.